The staff of Legal Aid at Work will rally at the Women’s March on Saturday. We will be on the streets of Oakland, San Francisco, Walnut Creek, and Los Angeles to assert our commitment to fight for justice. Sparked by our clients’ daily acts of courage we will continue to show up, educate, advocate, and represent them as we push back against the rise of discrimination, harassment, abuse, and exploitation as well as the dismantling of the rule of law. 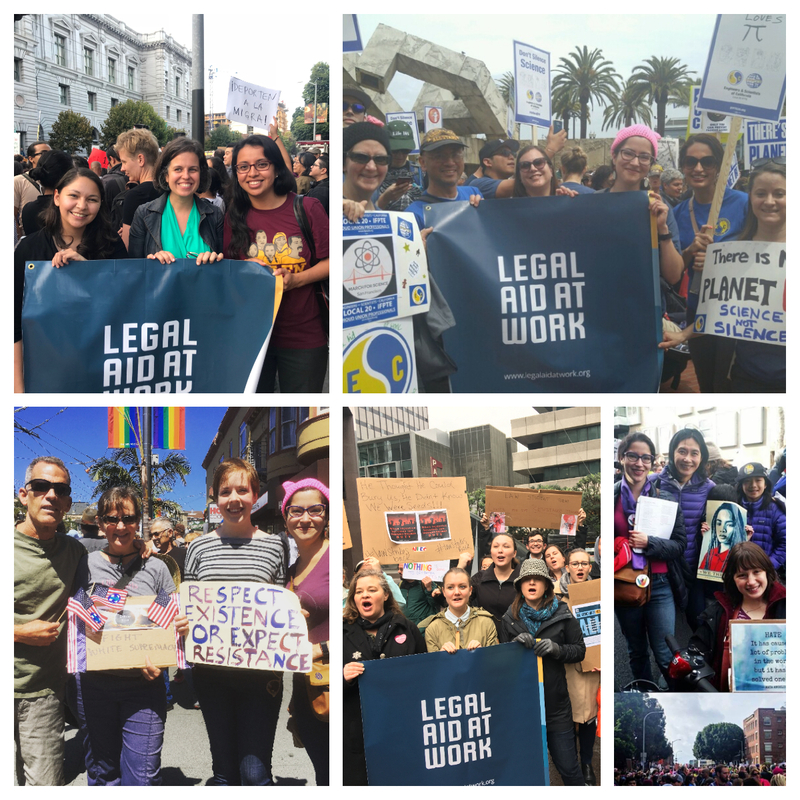 Legal Aid at Work is answering the call to fight harder than ever for our cherished civil rights.